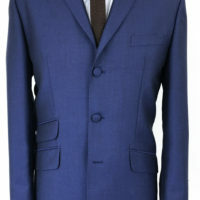 3 ply mohair suit in this striking Blue. All the usual JTG features of 3 button ticket pocket twin vent working cuffs and slim fit flat front trousers. 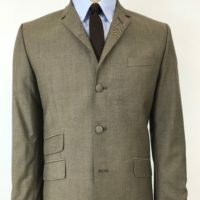 Bought this suit for a wedding on New Years. Went down a treat, lovely fabric. Super smart, superb quality and value. Inferior suits go for twice as much at humdrum designer names. Hats off to Jump The Gun as per usual. Thanks Jack, really appreciate you taking the time to review.